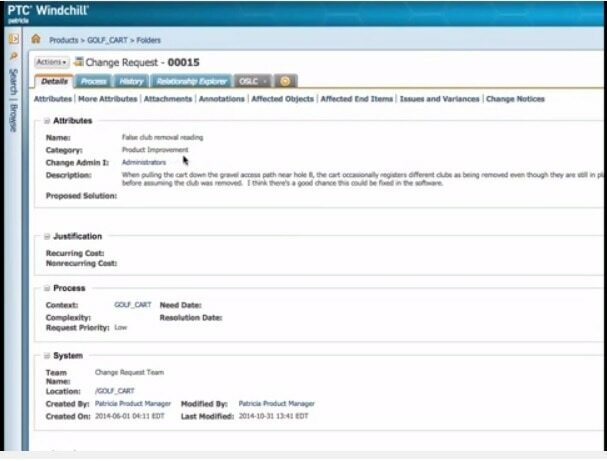 See how to coordinate change management across PTC Windchill and Rational Team Concert. Get a more in-depth view of how to coordinate change management across PTC Windchill software and IBM Rational Team Concert. See how to coordinate change management across PTC Windchill PDMLink and Rational Team Concert. Get details about IBM Rational Lifecycle Integration Adapters for Windchill, including technical specs and pricing.